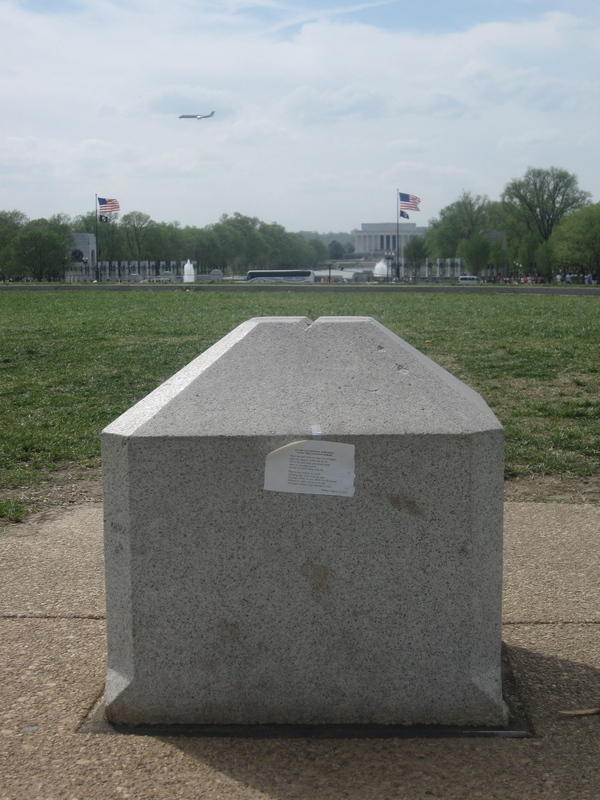 The matching of poem to location lacks subtlety, I know: an anti-war poem within strolling distance of the new WWII monument, the more modest D.C. War memorial, the spooky Korean War Veterans memorial and of course the Vietnam Veterans Memorial. But I couldn’t resist. Down the hill from the Washington Monument heading towards the Lincoln Memorial was a stumpy mini-obelisk perfect to quickly affix a poem, take a picture and not draw attention. 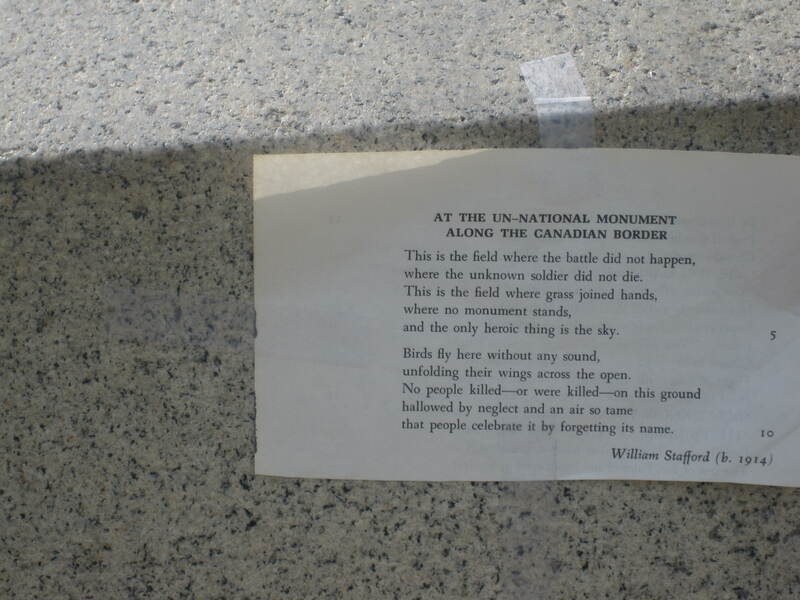 My initial thought was to mark a spot for poet William Stafford to commemorate the opposite of all these monuments to war. While I do really like this poem and honor its peace-loving intentions, I have two thoughts that I didn’t have before I put the poem where I did. How do I know, how did Stafford know, that in the whole history of life–human, animal and insect–no one actually did kill on this spot? Yeats seems more correct that “under every dancer/a dead man in his grave.” Obviously there’s a difference between being dead and being killed. But the food chain alone guarantees killing. Many times I’ve read those words before but they meant something to me for the first time the day I posted William Stafford’s poem nearby. And that’s the value of keeping opposing positions in shoulder-rubbing distance.